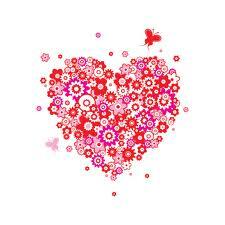 We have *loved* featuring so many writers during the month of love. Today we welcome our grand finale, Barbara Robinson. Susan will be back next week! I fell in love with writing in the third grade when my teacher submitted my story about my pet dog to the local newspaper, and it was published. My first college essay about an April flood was published in another local newspaper. A short story I penned in college-fiction competition won first prize and was published in the university's literary magazine, and I was hooked for life. That story was published on the front page of my hometown newspaper and ran as a serial for three weeks. It was later published in a Florida newspaper. I developed it into a novel, Southern Superstitions, which released January 15, 2012, by Desert Breeze Publishing, Inc. The most important reason I fell for writing is it allows me to show others the personal relationship I have with God and, hopefully, show them how they, too, can have that same productive relationship. That's why I write Christian romantic suspense. I grew up on Nancy Drew mysteries and my genre allows me to mix romance, mystery, suspense, and intrigue. I love taking my readers on a journey to another world. It's such fun to make up other worlds and characters. Reading and writing go hand-in-hand; I'm an avid reader and passionate writer. I love nothing better than getting lost in another world through the pages of a great novel, escaping the real world for a time, and traveling to places I may never get to in real life. Writing enables me to create and live other lives. My mother raised me on Southern superstitions and Bible verses. She was a storyteller, and I owe my love of reading and writing to her and my third and fifth grade teachers. Mom read to me before I started school. My fifth grade teacher hooked me on the Little House books by Laura Ingalls Wilder, and I've been reading and writing ever since. I have been blessed with the right people in my life to encourage and motivate me to grow up and pen my own stories. Reading and writing are my passions, and my faith is its foundation. I've been given a gift I can use to serve God, and I write out my heart and soul for Him. Dear Writing, I've loved you since 8 but am so glad I found the Reason to write. 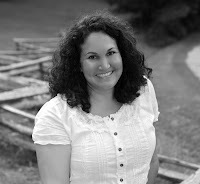 B. J. Robinson writes inspirational Christian fiction in the romantic suspense genre from Florida, where she lives with her husband, a cat named Frankie, a cocker spaniel named Sunflower, and a golden retriever named Honi. Sunflower is a character in her first romantic suspense, Last Resort. Her children are grown and have made her a grandmother multiple times. Her love for writing came from God and her third grade teacher who submitted her first published story about her dog to a local newspaper. She promises to take her readers on a continuous journey to another world. 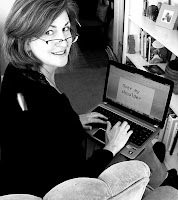 Visit her at http://barbarajrobinson.blogspot.com. 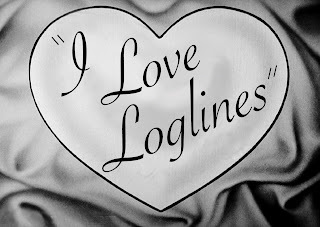 While it’s primarily a screenwriting term, the logline is of great value for every writer. This one-line description captures the concept, main character and main conflict of a story. By reducing the entire movie or novel to its most basic elements, you can quickly see what it’s about and whether you’re interested in it. Think of it as the old TV Guide one-line synopsis. A silent movie star struggles during Hollywood’s transition to the talkies. A land baron attempts to reconnect with his two daughters after his wife is seriously injured in a boating accident. A nine-year-old searches NYC for the lock that matches a key left behind by his father, who died on 9/11. An aspiring author during the civil rights movement writes a book detailing the hardships of African-American maids. An orphan who lives in the walls of a train station is wrapped up in a mystery involving his late father and an automaton. A struggling novelist discovers, through midnight walks in Paris, what could be his ultimate writing inspiration. A baseball manager creates a successful baseball team on a budget by using computer-generated analysis to draft his players. In this impressionistic work, the eldest son of a Midwestern family tries to reconcile with his father while seeking the meaning of life. The extraordinary journey of a horse who inspires the lives of many during WWI. A good logline – says screenwriter Blake Snyder in his highly entertaining and informative book Save the Cat – is rich with irony. What could be more ironic than a silent film star facing an age of talking pictures? Or a busy executive forced to reconnect emotionally with his family? A white girl writing about racial strife, a sports manager turning a team around with technology, and a frustrated novelist for whom a world of inspiration opens up, all overflow with contrast. Conflict is essential to keep readers/viewers engaged. As Elizabeth S. Craig reminded us earlier this month in Suite T, we have to give our main character an industrial-sized challenge. Fill your story with the right amount of tension and everyone will stick around to see how the protagonist prevails. Though the audience themselves may not be orphans trying to solve a mystery, they readily identify with anyone facing a struggle, especially one in which the hero is out of their element. For your next novel, short story, screenplay or stage drama, break it down into its simplest logline and evaluate its power to hook. Is it rich with irony? Do you find the premise absolutely compelling? More importantly, will your reader? 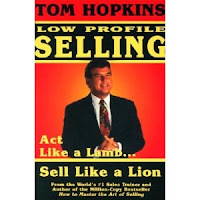 We continue to share Tom Hopkins’ NEADS acronym found in his book LowProfile Selling, Act like a Lamb…Sell like a Lion, let’s return to the short explanation of the letters. We have addressed the first three letters and this week the fourth, D for Decision. Who makes the DECISION? In marketing we must find what the customers’ current situation is, what they like about it and what they would change. We then must determine who will be making the decision to change. When selling to a couple we never ask who wears the pants in the family. We do ask if we are unable to meet with both parties which one would we need to be certain to meet with. Their answer will tell us who the decision maker is. When dealing with a company we must ask who in the company will be making the decision. Failing to determine the decision maker can have us spending valuable time working with the wrong person. Know who the decision maker is. The same is true in life. Ask yourself who is making the decisions that are important to you? Is it you? Do you seek advice from trusted sources when making an important decision? Do you go with your gut, heart or head? Are you collaborating on a project and must consult with a partner or partners? If we are truthful with ourselves we will realize only the most simple of decisions are made entirely on our own. The majority of decisions we make are done so with the help of others. If you are one that is fortunate enough to have those trusted souls you can go to for assistance please do so. Their input may give new insight and direction. Prepare yourself as we move into the final step of the NEADS acronym. Have an honest evaluation of where you are NOW. Determine what you ENJOY about your current position. Determine what you don’t like about your current position and would CHANGE. Who will be involved in making the DECISION to change and move ahead? The next posting will be the letter S. What is the SOLUTION! Labels: Decision makers, Low Profile Selling, Tom Hopkins, Who's in charge? I can’t recall the exact date I fell in love with writing, but it’s safe to say that my relationship with writing has been a committed one for several years. Actually, it’s the one relationship that has lasted longer than any other! Through the good times and the bad, writing has always been there as my sole outlet of expression and creativity. Some people are good with numbers while others are great at public speaking and athletics, but writing has always been my favorite hobby. I’ve enjoyed writing since a young age. It was always the one subject I did best in at school. I truly believe that writing is the one thing I’ve always been good at. There is no better feeling than know you can do something better than anyone else and have people depend on you for it. I love to blog. I think I can speak for every blogger when I say that the best part about blogging is when you realize you’ve written something than connects with your readers. Sure I’d love to have a huge following and have hundreds of people comment on each post I write. However, just knowing that one person has been affected by my writing is all the satisfaction I need to feel successful. I’m deeply in love with writing and look forward to the many adventures and places it‘ll take me in life. Jeuron Dove graduated from North Carolina A&T State University with a degree in Journalism. He is an aspiring author and active blogger who enjoys writing about professional wrestling, the writing community and a variety of other topics in his spare time. He resides in Reidsville, NC. You can visit his blog at www.jeurondove.wordpress.com. I heart writing. I do. It all started when I was a girl in bare feet and braids. I would climb my backyard cedar tree with my blue unicorn journal in hand. There, I would escape to those fragrant limbs and drop my deepest feelings down on paper. I was a typical first-born child with a self-centered universe, so my earliest entries were about boys and friends and family. Gradually, those thoughts reached farther and deeper. I began writing about war and politics, suicide and abortion, alcoholism and drug abuse. I watched the people in my community and I observed their choices. I wrote about those behaviors and patterns. I questioned everything on those pages, exploring the world around me and processing what I thought about it all. I soon began to experiment, trying my luck at poetry. I wrote letters to friends. I wrote letters to loved ones. I wrote letters to my future self and to long-gone icons. Most of those letters never made it past my diary, but I wrote them nonetheless. Then I wrote stories. Fictional tales filled with imaginary characters. I entered worlds far beyond any I had seen. I became a missionary, a soldier, a convict. I wrote from the point-of-view of an old man, a homeless mother, an orphan in the underground tunnels. Inspired by an eclectic mix of authors ranging from Kate Chopin and Judy Blume to John Steinbeck and Harper Lee, I explored the universe of possibility. I discovered the power of infinite creativity and spent more time in my character’s thoughts than I did my own. Before I knew it, I was no longer writing about boys. I had fallen madly, deeply, passionately in love with writing. I wanted to understand others who weren’t like me. Writing allowed me to walk in their shoes, to think as they thought, to see the world as they did. Writing gave me all the answers to the “what ifs” and “why nots” that plagued my teenage mind. Today, I still escape into these other worlds every chance I get. Writing, creating, exploring --- this is my fix. It’s how I think. It’s how I navigate the twists and turns of my life. It’s how I feed my artistic hunger. Now that my first novel (Into the Free) has been released, I am feeling the overwhelming thrill of hearing others talk about my characters as if they really exist. It’s fascinating to hear people discuss this world, these stories, that were plucked from my brain and pressed to a page. Do I love writing? Yes. I do. I love it so much I don’t want to ever lose it. I love it in the way that little barefoot girl in the tree loved John and then Paul and then Mike. Only better. As if my whole being would erupt if he chose someone other than me. I heart writing. It’s true. I do. And I still have my unicorn journal to prove it. Julie is a sleep-deprived mom of two spunky souls; a wacky wife who tends to burn dinner; a frazzled friend who wishes she had more time for chats; a first-generation organic farmer with dirt on her jeans and hay in her hair; a pal to all things furry; a teacher of students learning English as their second language; a certified speech-language pathologist; a frenzied freelance writer; a voracious volunteer; and – as of February 1 – a newbie novelist. 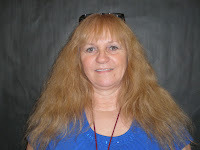 We invite you to connect with Julie online at Facebook, Twitter, Pinterest, her blog and her website. 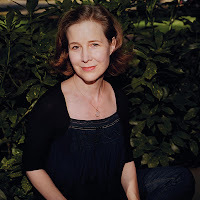 Ann Patchett is the perfect author to read in February because her writing and storytelling is about love. Not only the romantic kind, but in all its best forms. 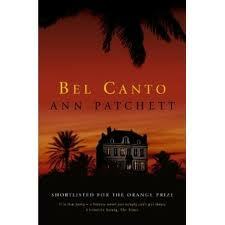 Bel Canto, for instance, is a novel of love for opera, life, self, and of one special other. People die for love in Bel Canto, even as they learn to live. The story and the characters almost made me want to be taken hostage in a third-world villa. Then I might fall in love the way Mr. Hosokawa and Roxanne Coss, or Gen and Carmen, did. The Japanese businessman inadvertently caused the hostage situation. He developed a passion for opera as a child. As a grown man, married with grown children, he fell in love with a recorded voice. Roxanne Coss was the world's most beautiful, celebrated soprano. Because Mr. Hosokawa loved her voice so much, he agreed to visit a South American nation that promised him a birthday party with Roxanne singing in person. Mr. Hosokawa had no intention of doing business in the nation and no business imposing on their generosity. But he couldn't resist the chance to see and hear his beloved soprano in person. As captives, the only language they had in common was music till they found another—love. Mr. Hosokawa's young translator, Gen, fell in love with the beauty, soul, and thirst for learning he found in Carmen, one of the guerillas. He opened up to her a world of education. She fired his dormant heart. How could I not long for such a passion of my own? Or I might find a talent to nurture, like Cesar, the boy terrorist with his fabulous, untrained voice whom Roxanne tutors as if he truly has a chance to go from jungle guerilla to world-class tenor. Maybe I'd leave behind my love of self like Father Arguedas, who refused to abandon the other hostages and their captors. No one really wanted him to stay, but the young man was so glad for the chance to serve fully as a priest that he remained to save souls. There's also renewal and rediscovery. Simon Thibault in his loneliness rediscovered his love and desire for his wife, waiting for him outside. Without the shock of this protracted hostage situation, Simon would have drifted in a marriage where he forgot to appreciate the most valuable thing in his life. In spite of the voices of reality and impending doom, the characters learn to hope for peace and a better life beyond captivity. All does not end well, yet good things survive. Through her extreme examples of terror and stress, Patchett reminds us to slow down, look deeply, even at those people we feel trapped with. Who are they? Who are we? What possibilities are we overlooking? What do the worst situations have to offer for growth, maybe even salvation? Love, she advises. Don't discriminate. Love and hope. Jan Rider Newman is publisher and coeditor with Jessica R. Ferguson of Swamp Lily Review: A Journal of Louisiana Literature and Arts. 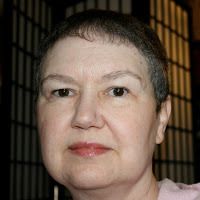 She has published short stories, nonfiction, and poetry in A Small, Good Journal, a juried Vision/Verse competition, the New Orleans Review, the Denver Quarterly, Louisiana Literature, Oasis Journal, and in two anthologies published by the Gulf Coast Writers’ Association. 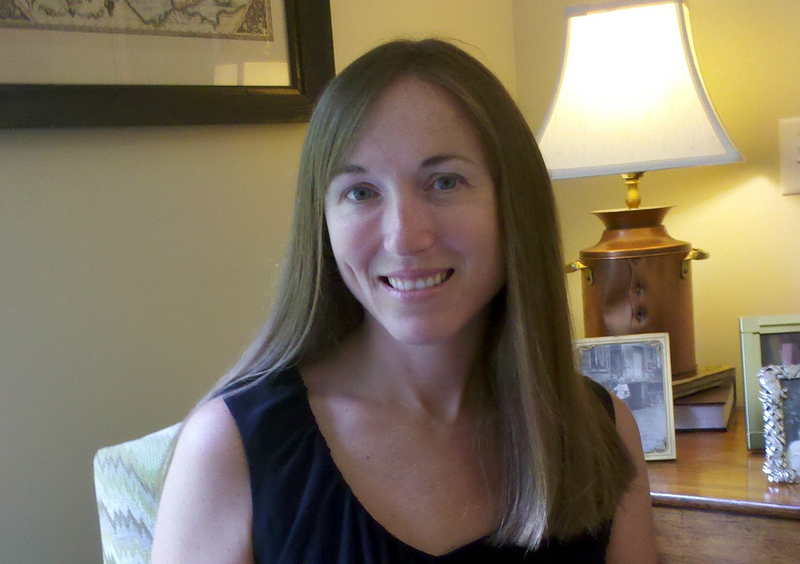 Jan earned an MFA in creative writing after studying with Robert Olen Butler. 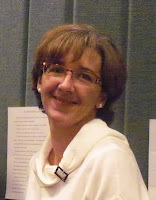 She is webmaster for the Bayou Writers’ Group and a member of She Writes. She's written book reviews for The Best Damn Creative Writing Blog, LitStack, and The New Book Review blog. Jan blogs at Beyond Acadia: Reading, Writing & Living Well, has a website, and is on Twitter as @Jangaler and @SwampLilyReview. “…even when the devil took control “ (Jesus and Mama, Confederate Railroad). I love stories and I love country music because it tells stories, and if I had to pick a theme song for my stories, it would be that one. When I was in Nashville doing research for an upcoming novel, Twang, I read a quote by Conway Twitty that said, “A good country song takes a page out of someone’s life, and puts it to music.” I believe the same is true for a good novel. Don’t ask me why I put Jesus and Mama Always Loved Me on my iPod because neighbors probably think I’ve got a screw loose as they watch me walking along Dogwood Hill, literally sloshing through puddles of my own tears. I’m 49 (and my Daddy still calls me Gal) and I’ve always lost myself in a good story, and this particular one comes alive for me in vivid Technicolor every time I hear it. As the song begins, the protagonist may be a male teenager, but I am him. I feel what he feels - his yearnings, his lust, his pain and his subsequent remorse, then his wonder that someone could still love him despite everything. My heart knows the veracity lacing those lyrics, especially the chorus. He and I both strayed, and yet, when more than the usual feeble human love was needed, there came a surge of supranormal love – the kind you get only from Jesus and Mama. I burst out into this world in 1962, and I grew up down South, a land of red clay where it’s not uncommon to see roadside signs reading ‘Jesus and Tomatoes Coming Soon.’ My folks carried me to church every time the doors were open, but I’m afraid the gospel did not take a hold. 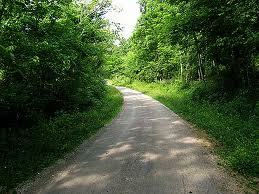 I did not follow the narrow path. I went from fun to fun, not caring about a thing in this world but Julie. I didn’t steal a car like the fellow in the song did, but boy did I walk the wide road, and it took great tragedy, several in fact, for me to hit that proverbial rock bottom. When I did, it was a transcendent love that lifted me. Twang is about a country music diva who uses her pain to create songs, songs that pull meaning out of life’s chaos, that redeem the seemingly unredeemable. Lest anybody think the heroine’s pathetic parents were modeled after my saintly folks, I’ll name a country song that would make a good title for my memoir - I’m The Only Hell (My Mama Ever Raised) — Johnny Paycheck. Julie L. Cannon graduated from the University of Georgia with a degree in Journalism. She is the author of Truelove & Homegrown Tomatoes, ‘Mater Biscuit, Those Pearly Gates, The Romance Readers’ Book Club, I’ll Be Home for Christmas, and coming August 1, Twang. She lives in Watkinsville, Georgia. Visit her website at www.julielcannon.com and connect with her on Facebook at www.facebook.com/julieLcannon. As we continue to share Tom Hopkins’ NEADS acronym found in his book Low Profile Selling, Act like a Lamb…Sell like a Lion, let’s return to the short explanation of the letters. I have used it not only as the fantastic sales tool Tom intended it to be, but as a problem solving tool as well. We have addressed the first letter N, the second letter E which is for ENJOY. This week we will address the third letter A. What is it we would ALTER or change? In marketing we must find what the customers’ current situation is, what they like about it and what they would change. What they like is their “Hot Button” or why they buy. 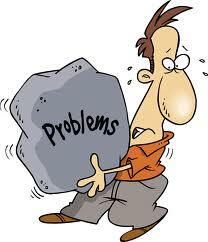 When we ask what you would Alter or change we find what their problem or concerns are. This could be called their “Cold Button” or what turns them off about a product. We then make sure we are able to meet their concerns with our product. In life, change can be a hard thing for some of us. 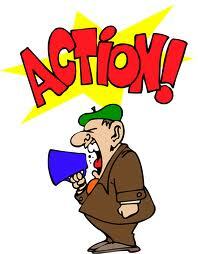 Customers are usually eager to make a change once it is presented and it is their choice to do so. But many times the changes are not of our choosing. Dr. Spencer Johnson wrote about the difficulties of dealing with change in his bestseller Who Moved My Cheese? The change he spoke of was indeed not change being sought but change being forced upon us. The change we want to deal with in the NEADS acronym is the change of choice. We have identified where we are, what we like about it and now what we would change. This change, which will be of our choosing, will have two positive outcomes. One will be the identification of what we do not like and will leave behind. The other will be the positive direction we will move in the absence of those things we do not like while seeking more of what we do like. This can be very liberating. Ask yourself what is it you would change at this point in your writing or your life for that matter? Could you see yourself without this thing you would change? Can you see yourself in a better position? Take some time to consider what it is you would change and the benefits of that change. As we continue to move into the remaining steps, prepare yourself by having an honest evaluation of where you are now, what you enjoy and what you have chosen to change. The next letter is D. Our next post will be about who will be making the Decision! When I was a kid, I was enamored with any game that fit in one can. One of those was Jenga. 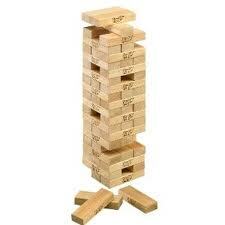 The object of this game is to stack all the blocks and then remove them one at a time without causing the entire structure to fall. I don't know about you but at times I feel like Social Media is a huge towering insurmountable structure. But what if the key to success wasn't stacking more bricks but successfully navigating which ones to remove? Use Tweetdeck to schedule all your tweets for the next two weeks in 10 minutes. Set a timer and only spend that number of minutes on Facebook. Plan a blog series and write it all in one morning. What blocks could you remove from your day today? Why not start with one and see what difference it makes? You never know what moment could turn out to be a turning point in your life. For me it was an ordinary Thursday afternoon. Finished with my classes for the day, I had walked to a field nearby for a friendly game of flag football – Baptist seminary students versus Presbyterians. These games were a favorite part of my weekly routine. This particular game day, the first of the new school year, brought several new faces. After the game, as the gang gathered at Friendly’s for dinner, I sat across from one of the new guys. He ordered a root beer and a root beer float, revealing his whimsical streak. I liked him right off, but I had no idea that in less than two years, I’d be married to him. At that point in my life, I was struggling mightily with insecurity and depression. Despite my place in seminary and my desire to be part of the presence of God in others’ lives, I couldn’t recognize God’s presence in my own life. I was achingly lonely and afraid of my own imperfections. I had a knack for making bad decisions and my dating relationships, what few there were, tended to be unhealthy. I saw myself as damaged, broken, and defective. 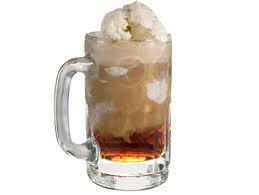 Somehow, the guy with the root beer and the root beer float didn’t see me that way; he saw somebody he wanted to love. And when I realized that (somebody had to point it out to me, actually), the turn in my life that began on the flag football field finished rounding the corner. Much of what I know about God’s love I learned from “Big Boy” (his affectionate nickname on my blog). He didn’t judge my bad decisions. He didn’t look away in disgust or even get squeamish when I was sick. If he ever noticed my imperfections, he didn’t let on – he certainly never pointed them out. He was comforting. He was generous. He was thoughtful. He was steady. He gave of himself, without making any demands in return. He was a spigot pouring out God’s love in a world that seemed desolate and dry. Now we’re approaching our tenth wedding anniversary, and he still is all those things, and more. If it’s true that people who are married a long time start to look like each other, I hope my heart is beginning to look like his. 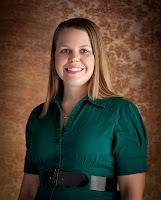 Julie Ball is a professional wife and mother in Memphis, Tennessee. In her spare moments, she is pursuing her call to ministry and her love of writing. 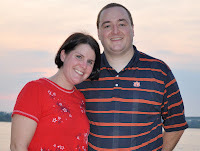 Julie shares her life and her thoughts on her blog, Meeting God in Memphis. My uncle let my mama borrow it. She then passed it to me. When I next saw my uncle I said, “I can’t put that book down.” He replied of the author, another man named Rick whom he had met at a writing conference, “He’s as country as turnip greens.” The book is “All Over but the Shoutin’,” and the author is none other than the Pulitzer-prize winning Alabama writer Rick Bragg. 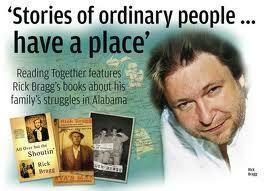 Although Rick Bragg was born 12 years before me, reading his life story was like reading my own. They were poor; we were poor. Although I don’t think my parents would agree, now that I’m 41, I know it. He writes about witnessing a Southern Baptist baptism in a creek and the congregation on the banks singing “I’ll Fly Away.” I don’t know how many of those I’ve been to, and that song is burnt in my memory from my tiny country church. It’s my favorite hymnal. He recounts his older brother Sam running away from his mama when she tried to whip him, and when she caught up to him, she gave him a whippin’ of a lifetime as he yelled for God! My brother Charlie did the same thing one time as my mama straddled him and whipped him good. Some would call it a beatin’, but it was just a good old-fashioned whippin’ he deserved. He writes about collecting Coke bottles for change. We did that too. He writes about his dad being a drunk, and I remember mama telling the same of her dad. Although I loved my grandpa to death, like most of us, it’s hard for me to imagine he was a drinker in his younger years. He talked of his mama taking in ironing and cleaning peoples’ houses. My grandma did that too. There are so many parallels to his upbringing in Alabama and mine is Louisiana that I laughed aloud and swallowed hard to prevent myself from crying, which didn’t work at times. They even got commodity cheese like we did. If you are looking for a true southern story, I encourage you to read “All Over but the Shoutin’.” It will touch you, I promise. Then you will understand how a famous writer like Rick Bragg really is “as country as turnip greens” as my uncle put it. After I read the last word of the last page, I wanted more. Hands down, he is now my favorite author. In honor of Valentine’s Day, Creative Director Gary Fearon is honored to relinquish Tune-In Tuesday to a mystery writer whose books you’ll love, Elizabeth S. Craig. We all love our characters. What’s not to love? They start out as our own creations, then suddenly come to life on the page. They’re our very own Pinocchios. But loving our characters means hurting our characters. Otherwise, there just wouldn’t be a story for them. Who’d read a book where the characters happily go from beginning to end with no problems to overcome or challenges to face? Let’s take it from our characters’ point of view. What makes our characters happiest? My guess is having more adventures. And the best way to ensure they have more adventures is by writing books that readers love and want more of—books that aren’t boring. Our characters need setbacks. Big problems: Depending on your genre, this could mean a murder, a crippling addiction, the end of the world, or the death of a loved one. Medium-sized problems: What other trouble can we toss in our characters’ way? How about a job loss, an aging parent moving in with them, or an unexpected medical issue? Smaller problems: To create tension in every scene, we can also build in smaller conflicts—characters who rub our protagonist the wrong way, flat tires, and arguments with friends or spouses. Remember, we’re doing these things for our characters’ own good. We’re ensuring they live to fight another day…loving them enough to make them suffer. Because, for writers, love means never having to say you’re sorry. Elizabeth’s latest book, Hickory Smoked Homicide, released November 1, 2011. Elizabeth writes the Memphis Barbeque series for Penguin/Berkley (as Riley Adams), the Southern Quilting mysteries (2012) for Penguin/NAL, and the Myrtle Clover series for Midnight Ink and independently. She blogs daily at Mystery Writing is Murder. As we continue to share Tom Hopkins’ NEADS acronym found in his book LowProfile Selling, Act like a Lamb…Sell like a Lion, let’s return to the short explanation of the letters. I have used it not only as the fantastic sales tool Tom intended it to be, but as a problem solving tool as well. Last week’s blog addressed the first letter N which is for NOW. We used this step to establish where we are. This week we continue with the second letter E which is for ENJOY. We will discover what we enjoy. In marketing we must find what the customers’ current situation is and then what they like about it. What is it they like, enjoy or are excited about? We want to know this to be sure our product has that feature either as a basic part or an option that can be included. This is one of the easier tasks of marketing when you ask someone, “Tell me what you enjoy most about your current product?” Usually they will light up and can’t wait to tell you all the reasons why they love this thing you are discussing. In sales we call this their “Hot Button”. This is why they buy. The best part is they have told you this is why they buy so you aren’t left guessing. We look for what they enjoy and sell to that. We too must ask ourselves what we enjoy about where we are and what we are doing now. Tom Peters said, “Celebrate what you want to see more of.” What has excited us, what has us looking for more? Celebrate what you have found to be exciting and enjoyable and look for more of it. Is your “Hot Button” getting published, blogging or book signings? Maybe it is helping others move forward with their writing? Know what your “Hot Button” is and pursue it. Don’t settle for less. Place yourself in a position to enjoy, be excited and celebrate! The excitement feeds the journey. As we continue to move into the remaining steps, prepare yourself by having a current and honest evaluation of where you are now and what you are enjoying about where you are now. The next letter is A. Our next post will be about what you would Change! Hello there Mousketeers! 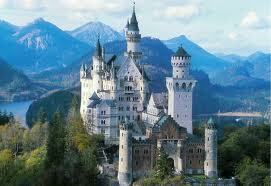 I bring you greetings from the Kingdom Magic built. Number two of my four daughters is competing at Disney World this weekend in a national and then international cheer competition. I get to tag along, see my favorite mouse and interview Mickey about how to use Social Media effectively. Shannon: Why do you think some people's tweets are read and others aren't? Mickey: Well, Shannon, it's like I always tell Minnie, "It's a new day!" Some people tweet the same thing over and over - about their book, their web page or whatever. That's boring. Here at Disney we create new attractions every year because people return when there's something new to see. People who have something new to say, get more loyal followers. Shannon: If you could give our readers one piece of advice, what would it be? Mickey: Exceed their expectations. Have you ever seen someone approach Cinderella's castle for the first time? They gasp, shriek, grin or squeal but there is definitely a reaction. We fashioned her castle after the Neuschwanstein castle in Germany because we wanted to deliver more than the public would expect from a theme park. Do the same with Social Media - exceed expectations. Shannon: I know it's almost time for the park to open so I'll let you go soon but just one more question. What is the most magical component of Disney World? Mickey: That's easy. It's our staff. Their friendliness, willingness to serve and commitment to excellence keep families returning here again and again to make memories. If you are friendly, willing to serve and have a commitment to excellence you'll get plenty of repeat customers too. Shannon: Thanks, Mickey, for spending some time with our readers today. 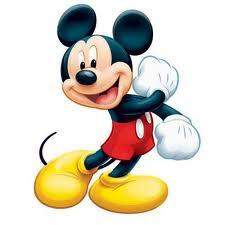 As Mickey would say...Have a magical day! For all of you non-military couples out there, let me explain. 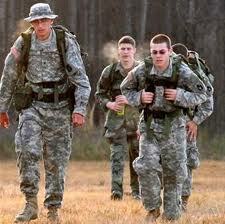 A ruck march is a real-life training exercise where these soldiers fill a pack (aka their ruck) with all of their gear and march. It is equivalent to literally taking a packed-to-the-brim suitcase, weighing anywhere from 38 to 50+ pounds, strapping it on your back and walking for two to twelve (or more) miles. On purpose. Sometimes just for fun. I couldn’t even be upset at my drill sergeant husband’s ruck marching feet comment. From his perspective, it really was a compliment. When it comes to our love story, I am thankful for my ruck marching feet. We’ve been through deployments, separated by months of training, dealt with incredibly long hours, and moved to a new time zone. Our entire relationship has been one big ruck march. People ask, “How do you do it?” I really don’t have an answer for that other than God. He is the foundation of our relationship. God is OUR Commander-in-Chief in this ruck march marriage. A personal pep-talker and Jesus lover at heart, Sharita Knobloch is a chocolate-indulging, pseudo-running, creatively-sarcastic army wife and writer. She is SERVE intern at Christ Community Church and enjoys every second of it. Sharita blogs daily and hosts a personal ministry called 7Days Time which encourages others to use their time on earth living for God. Whenever she gets the chance, she enjoys hanging out with her beloved drill sergeant husband and their hilarious puppy, Sweet Justus. Connect with Sharita online on Facebook, Twitter or her blog. Today our Editor-in-Chief, Susan Reichert welcomes a special guest with a special love story to Wisdom Wednesdays. 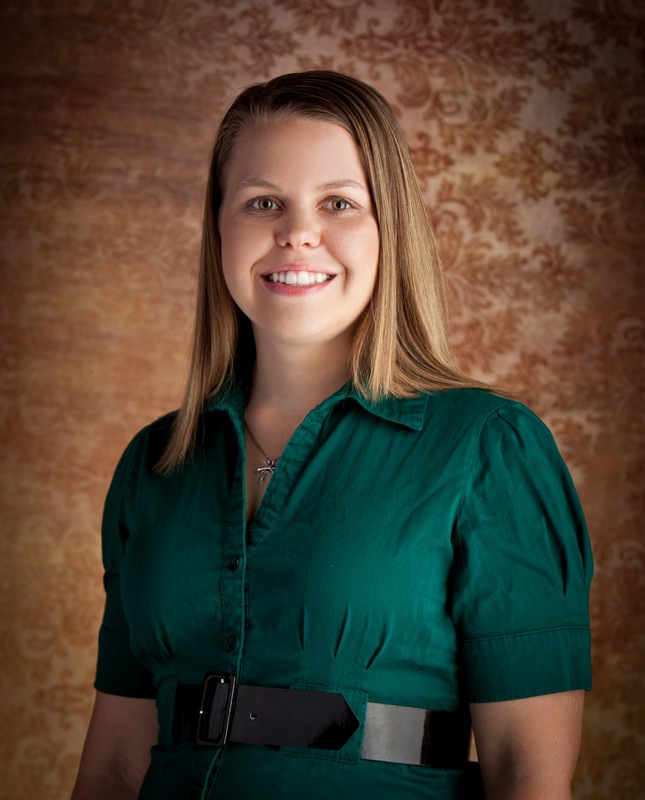 Please help us welcome, Rosann Cunningham! I knew the moment I fell in love with Him. …it wasn't when my would-be husband kissed me for the first time, though my heart fluttered with passion. With that one kiss, I knew he was a gift from God. 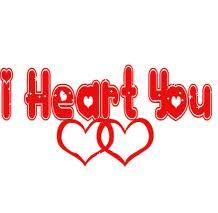 …it wasn't in the miracle of healing when my lover was diagnosed with Cardiomyopathy. Instead, my mind ached with an abrupt awareness of how fleeting this life really is. …it wasn't even when we stood in the presence of God, family, and friends, declaring our love for one another and becoming one with the promise of two simple, yet highly valued words. I Do. It was my fairytale dream come true. The moment I fell in love with Him was life changing beyond my wildest imagination. …it wasn't when my husband and I struggled through infertility, only to discover God works in His perfect timing. When we least expected it, we received the blessing of answered prayer with the births of each of our daughters. Our hearts still overflow with joy and gratitude. …it wasn't during our three year job layoff, the short sale of our home, our resulting move across country, or our overwhelming concerns over money. God was our compass, our shelter, and our umbrella of peace during the storm. …it wasn't even when I looked in the mirror one morning not long ago to find a transformed, beautiful work of art - His still unfinished masterpiece, molded over the years - staring back at me. I'm nearly unrecognizable, but in the most awesome way! His fingerprints are all over me. No, I fell in love with God the moment I felt His powerful presence in my life. In me! It was the moment I truly began a relationship with Him. A heartfelt, emotional moment when I surrendered it all to Him, for His glory. It is a love story of God and me. His mighty hands have held my heart through it all. In the blessings and in the storms. In the lessons and in the rewards. In the joy and in the sorrow. Rosann Cunningham is a Christian Author, wife to the man of her dreams, and stay-at-home mom to two delightful little girls. When she’s not out for a jog or having energy burning dance parties with her daughters, she can be found writing for her blog ChristianSuperMom, and ministering to women whose husbands are in a season of unemployment, at her other website UnEMPLOYED Faith. Her writing inspiration for both projects comes from a strong desire to glorify God while sharing the heart of her journey through a life of faith. In honor of the month of love, Creative Director, Gary Fearon, is pleased to welcome the delightful romance author, Katie Ganshert. I’m a sucker for romance. I’m in love with love. Not only do I enjoy writing and reading it, I enjoy watching it too. Given the choice, I will pick a romantic movie every single time. It drives my hubby crazy, especially when he’s in the mood to watch things blow up. But you know what’s even greater? The stories that aren’t made up. Which is why I love asking couples how they met. I love seeing them smile at one another as they recount their story. And I love sharing my own. Because it brings me back to the beginning. And it’s not every day a girl gets to marry her crush. Nine years ago, I was a receptionist for a real-estate firm. And there was this guy. This really, really cute guy. He didn’t work at the real-estate firm. But he came in most mornings to deliver packages. Every time I saw him, he made my stomach all kinds of fluttery. We’d exchange friendly hello’s. I’d sign for the package. He’d leave. And I’d fan my face, quite certain he didn’t know I existed. Until one particular day. It was around lunch time, so I was walking out of the office when this cute delivery guy was walking in. I smiled and expected him to go inside, only instead, he did an about face, walked with me to the elevator, and asked me out. What was my suave reply? I forgot that I signed for the packages each day. Of course he knew my name. I also forgot that my signature is horrid. So when he said, “Yeah. Your name is Kate” I thought, “Close enough!” Even though nobody had ever called me Kate. I had always been Katie. I wrote my name (Kate) on a gum wrapper, along with my number. The next night, he called. We set up a date. And I discovered he is just as wonderful on the inside as he is on the outside. Nine years later, he still has the gum wrapper. And he still calls me Kate. I have to admit, every time I write a hero in my novels, they tend to reflect bits and pieces of my real-life love. My cute delivery guy-turned-husband. 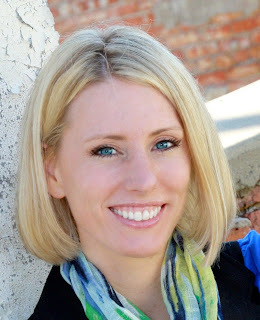 Katie Ganshert is a slightly-frazzled, ever-inquisitive Midwest gal who’s passionate about Jesus, her family, writing, and all things romance. Her new novel WILDFLOWERS FROM WINTER is available for pre-order. When Katie’s not plotting ways to get her hero and heroine to fall in love, she enjoys watching movies with her real-life hero, playing make-believe with her wild-child of a son, hanging out with the crazy but lovable junior high students at her church, and chatting with her girlfriends over bagels and coffee.